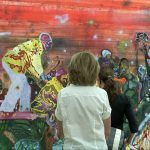 This video documents the press preview of German painter Daniel Richter’s exhibition at David Zwirner, New York. 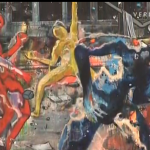 Daniel Richter talks about his work, specifically about the five large-scale paintings on display. Daniel Richter: Die Idealisten, David Zwirner, New York. Press Preview, March 25, 2008.